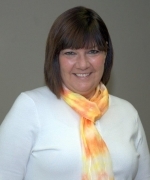 [Mariann Young, PhD, Clinical Psychologist, Rainbow Rehabilitation Centers, Inc.] It's devastating when when a teen is injured and the friends leave, and immediately after an injury, they typically rally around, and they go to the hospital, and they send the cards, but they have lives to live, and they recognize that their friend is different, so they move on—a lot of them move on, and they may touch base, but it's certainly not the friendship that they had. So, you work with the kids ahead of time, if you have the opportunity. You explain to them—sometimes the school will let you in— in the homeroom time—and you can explain to them what has happened, or you can open up your family home and have the friends come over and say, "You know, he's gonna be different," or "she's gonna be different," and "this is what you can expect." and that's what you can do. You can explain to them and try and teach them, and it depends on the kids themselves how much they'll interact. For your own child who's injured, you have to continually explain if, in fact, they are in groups, and they are in groups with other injured kids, then, they're not alone. That's where the hope is. That's where they get to see and explain and talk to, and if they make the mistakes, they're forgiven 'cause they all do it, and it's such a comforting atmosphere for them because that's where they find out in the treatment center that other kids are like them, other kids have had the injuries. I know more hospitals, more treatment centers, are using Skype, so that if the kids can actually get there, they can be a part of it through computers, that there are different ways that you can communicate, that you can have involvement. I mean—of course— face to face is what you do hope for, but if distance matters, if there's not the ability, there are ways, also, that you can connect with people—and with other teenagers. I'm not talking teenagers with older adults. I'm talking teenagers with teenagers. They have to feel that they're part of that group, that there's someone around them, that they have that understanding. For a teenager with TBI, losing friends is devastating. Dr. Mariann Young talks about how she works with injured teens as well as their friends to help them deal with the changes that come with a brain injury. See more video clips with Dr. Mariann Young. Posted on BrainLine April 30, 2014. Produced by Victoria Tilney McDonough and Justin Rhodes, BrainLine.